If you are experiencing any hardship please call Jason Kirby. The Kirby Family has a long history of working with Twin Lakes' families. Jason has the experience to help you with financially related questions. We have experience working with the Veteran’s Administration to ensure that our Veterans receive the benefits they deserve. 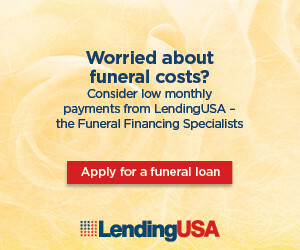 We work with other national organizations that may be able to provide for your loved one at zero cost to you. We have great relationships with local banking institutions. We can help you obtain financing. Kirby and Family will provide everyone a dignified service regardless of their ability to pay.